I haven’t seen one like this before. I don’t think anyone has. And this is from QuickDraw, yeah, I remember their DLX 500 vaporizer, which was a 3-in-1 device, whereas the Cowboy is strictly an e-liquid box mod. I think, however, that QuickDraw has moved on from their Western theme and embraced a more urban cowboy vibe with their DLX series since I couldn’t find the Cowboy for sale on their website. The DLX series has three different variants, all of which are excellent devices. The Cowboy doesn’t look like any other box mod I’ve seen. Both the mod and the atomizer tank stand side by side on a connector that makes the Cowboy look like it’s been bent in half and then stuck onto the platform. When you first see the Cowboy, it throws you for a loop. Not only because it looks great, but because of the “side-saddle” design that QuickDraw used for this particular box mod. All your programming on what a box mod should look like gets thrown out the window when you see the Cowboy. But, like with a lot of devices, the more you delve into it, the easier it becomes. The setup is straightforward: the battery and the clearomizer get screwed into the side saddle connector, and that’s it! The clearomizer is made up of the tank, the wide-bore mouthpiece, and the heating element inside, which is a nickel and aluminum coil. The tank is mostly made of plastic. The vapor path, the chimney inside the tank, is made of steel, which is always good to have. I’m not sure why but I liked the textured metal ring that wraps around the bottom of the tank that gave the device a rough-and-tumble feel. The battery has a black rubber coating around it that combined with the overall small size of the device made it very easy to hold and grip. There is only one firing button on the Cowboy, and there are no other controls. There is no temperature control or wattage variations. The device is turned on with five clicks and reaches it’s highest temperature in a matter of seconds. So despite its appearance, the Cowboy is a very easy-to-use device when you get to the bottom of it. The Cowboy comes already assembled in the patent-leather carrying case, which I would never be caught dead with. The box mod itself is rather striking, but the “holster” and its accompanying belt clip just take the kitsch level of the Cowboy to dangerous levels. I waited at least two hours to charge the Cowboy. There is a green light on the USB adapter that’ll turn green to let you know the battery is charged. After it has been charged, just screw the battery back into the connector port, and then you can fill the tank. Unscrew the tank from the connector, remove the atomizer, and you can access the filling ports. The ports were rather broad, so filling didn’t present much of a problem. I filled the tank about halfway. There are indicator levels on the outside of the tank so you can see how much precisely you put inside. I replaced the atomizer and mouthpiece and kept the tank vertical to keep it from spilling; then I screwed it back into the connector. I hadn’t vaped with an open source box mod in a while, so I was pressed to find which e-juice I would use with the Cowboy. I settled on the obvious choice, American Standard from the Vape Dudes, with no nicotine (wasn’t in the mood) and a straight 50/50 VG/PG content. The battery has to be unlocked by clicking the power button five times. And once the battery is unlocked you just press the firing button and inhale. There were immediate flavor notes and huge clouds. The device heated up quickly and with a 390mAh battery that was to be expected. I kept puffing away on the Cowboy for a good hour at least. And there was no decrease in vapor production or flavor profiles. It was a consistent, well-textured vapor every time. I found that with moderate use the battery life was around two days. And after the initial charge, charging the battery took only about an hour to get back to full strength. Since the Cowboy is a rather simple device with no added features or controls, it was hard to find a comparable box mod since so many of them do feature those options. And they are also much more powerful. I settled on the Innokin Coolfire IV, which is also a box mod, a starter kit and quite portable. But I instantly saw that the Cowboy didn’t stand much of chance. The Coolfire comes with so many add-ons and capabilities compared to the Cowboy and its simple, a one-trick pony interface. The Coolfire is sub-ohm compatible; it has a more powerful battery; it has temperature and wattage control, and it leaves the Cowboy kicking the dust. Creativity is something that product designers sometimes leave behind, but that wasn’t the case with the Cowboy. Although I wouldn’t go so far as to call it “revolutionary,” I would say that side saddle setup was a gamble that paid off in the end. For an easy-to-use, portable device the Cowboy did not forget to produce excellent tasting vapor that was thick and milky. For a forward-looking, walk-around-with-it box mod that delivers quality vapor and is easy to use the fact that the Cowboy retails for under $50 (different vendors have different prices) is the icing on the cake. The clearomizer is supposed to last for a while. I haven’t yet experienced any diminished flavor or dry hits, but since you can’t replace the coils on the Cowboy, you have to get a whole new tank when it goes wrong. Although the Cowboy doesn’t skimp in the power or vapor quality department, it still would’ve been nice to have some control over the temperature and wattage, as is the case with most current box mods. No. Just, no. No, thank you. I love the device. But the holster? No. Just, no. The QuickDraw Cowboy vaporizer is a great, but small, hand-held device that is wonderfully designed and easy to set up. 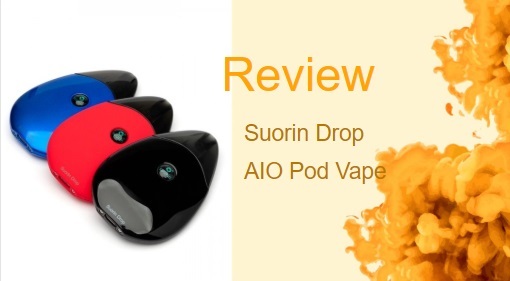 It doesn’t feature any other controls or features; it is a charge-load-vape type of device. It delivers big clouds and flavor, and its battery gives you a solid two days of vaping before having to be charged again. It is portable and comes with a carrying case, but unless you want to be laughed out of town, I suggest you toss the holster and just carry it around in your pocket, which is more than possible with a device that weighs less than half a pound. I give the QuickDraw Cowboy Vaporizer a solid 8/10.